Are you the proud owner of a Samsung electric range with an induction style cooktop? Is the reason for your internet search to seek out reasons why one of the burners is failing to boil water, melt butter, or cook an egg? Or maybe that burner heats up now and then or perhaps you can’t shut the damn thing off at all? Well, my friend, keep reading and hopefully you can manage this repair in the amount of time it takes you to read the following guide. This repair is as simple as removing the cooktop assembly from the range, removing and replacing the heating element, and putting it back together again. You can do this repair even if you’ve never repaired anything else in your life. But be patient because you’re going to have to do a little digging to get to the heating element. 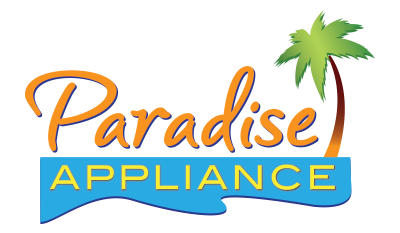 Before beginning this or any other electrical appliance repair, unplug the unit from its power source. Please note that it is a good idea to test the wall outlet with either a multimeter or some type of outlet tester. In order to gain access to some components you will need to disconnect, you will need to pull the range away from the wall. Remove the oven door or doors to lighten the range and carefully slide it away from the wall until you can access the rear panel. Use your #2 Philips screwdriver to remove all the screws holding the panel in place. Lift the rear panel out from its slots and set aside. Remove the upper rear panel’s screws, lift the panel from its slots and set aside. On the left side, you will notice a wire harness and grounding strap. The ground is attached to the range’s frame. Remove the ground wire first, then unplug the wire harness. Remove the string relief and gently slide the harness into the slot that it is coming out from. Do the same with the grounding strap. On the right side, release the wire harness cluster from its string relief. Detach the two harnesses and gently slide them through the slots they are coming from. Be careful not to damage the wire harnesses through this operation. Return to the front of the Samsung, open the oven door – if it is still in place – and remove the 3-Philips screws under the front lip of the cooktop. With the screws removed, slightly lift the front of the cooktop up and pull it toward you. 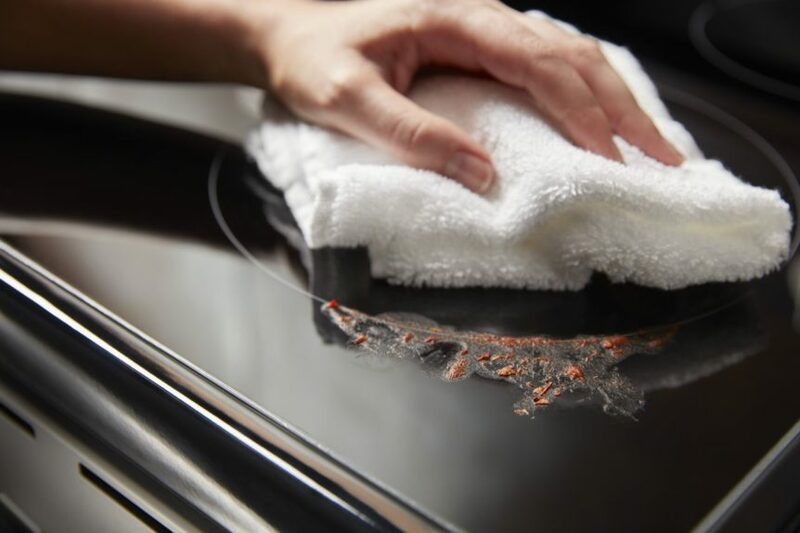 Remove the cooktop and set it face down on a protective surface, such as a moving blanket or piece of carpet. One or more elements stay on too long and causing it to overheat. If any of the preceding symptoms affirm your diagnosis, then carefully follow along as we explain how to test the continuity of each burner. Disconnect the brown wire from the smaller element first and note that both small elements test the same way. And both burners use the same part number. Set your multimeter to ohms. Place the black probe on the terminal where you removed the brown wire and place the red probe on the orange terminal. Normal display should read anywhere from 10-50 ohms. Next, on the other side of the wire cluster, remove the black or yellow wire. Place the black probe on the terminal that houses the black wire and place the red probe on the yellow connection. If there is no continuity, replace the element. We recommend taking a picture of the burner you plan to remove and replace as it will give you a visual representation of where the wires connect. Unplug all terminals from the element you plan to replace. You will need the needle nose pliers to perform this function. Remove the ground strap from the bracket and remove two screws from the right side and finally remove the screw from the bracket which is holding the element in place. Using the needle nose pliers again, gently squeeze together the element tabs that are inserted into the slots located on the horizontal mounting bracket that the element is attached to. The element is now free to be removed. Be cautious not to touch the element coils. You don’t want to contaminate the coils with the oil from your skin. Slide the clip located on the bottom of the element into the bracket and replace the screw that secures the element in place. Refer to the picture you took of the wiring scheme and connect all wires accordingly. Push down on the mounting bracket as you replace its screws. Reconnect the black wire and refeed the the ground strap. Rethread and tighten the screws. Plug the remaining wires back into their respective terminals. All that remains now is for you to reinstall the cooktop, reconnect the wire harnesses, button up the rear panels, plug the range back into its power source and boil water, melt butter, or cook an appetizing meal for you or your family. Gently put the cooktop back on top of the range and slide it until it feels like it is secure. Lift the front of the cooktop up far enough for you to reach the Molex connectors and feed them through their designated slotted areas to the rear. Slide the ground strap through first and the Molex connector after. Drop the cooktop in place. Rethread and tighten the three screws under the front lip of the cooktop. Replace and close the oven door. Reconnect the Molex connectors and ground strap. Reconnect the top and lower access panels. When doing so, rethread the middle screws first. This will provide balance to the panel as you replace its screws. Push the oven back in place and turn the power back on and test the cooktop burners. The preceding information was provided to help you work through what may seem like a complicated repair. The most complicated part of the repair was trying to figure out what caused your cooktop burner to quit working in the first place. Once you knew what was causing the problem, you could then attempt to resolve it.